The proposed amendments to the Principal Act, as contained in the RAF Amendment Bill of 2017, is intended to address specific aspects of the Principal Act to support effective financial management and improve the timely, efficient and cost-effective delivery to road accident victims. 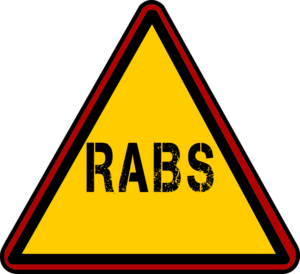 Members will find it interesting that some of these proposed amendments are aligned to the proposed RABS Bill as to ensure the smoother transition to RABS. The introduction of a single medical tariff. In terms of the judgement of the Constitutional Court on 25 November 2010 in the case of the Law Society of South Africa and Others v The Minister of Transport and Another 2011(2) BCLR (CC) there had to be discussions with the Minister of Health to determine and prescribe the tariff at which medical care would be offered to road crash victims. To our knowledge the tariff had not yet been secured, nor has there been any engagement with the private health sector as to discuss a tariff at which they would be willing to provide health care in the absence of the often inadequate and unavailable services at Government Hospitals. The tariff would have to provide for access to private health care to prevent the same challenges raised by the LSSA in support of their application to strike down the previous tariff. To provide for a 30 day “no-fault” period immediately after an accident during which time the RAF will be liable to compensate the service providers for medical treatment administered to the injured road accident victim. It is evident that the medical tariff would have to be comparable to allow for treatment in the private health sector which would be a costly exercise. Having regard to the fact that the tariff is still unknown, it is impossible to determine what cost implication will result from the proposal but, coupled with the fact that the first 30 (thirty) days of treatment for a victim after a road accident is usually the most expensive, it will no doubt have adverse financial implications to the state. Further, even if a tariff is agreed upon, it is doubtful whether the private health sector will be prepared to only render emergency services without the guarantee of further payment after first 30 (thirty) days of treatment. Should the victim have a problem with merits, the would-be service provider and victim will both be at risk, as far as the expenses are concerned, after the first 30 (thirty) days have lapsed. This situation will also result in a moral dilemma as the private health care provider will be confronted with the situation where it would have to decide whether to transfer the patient to a state hospital, should he or she be unable to pay for further treatment after the first 30 (thirty) days of treatment.